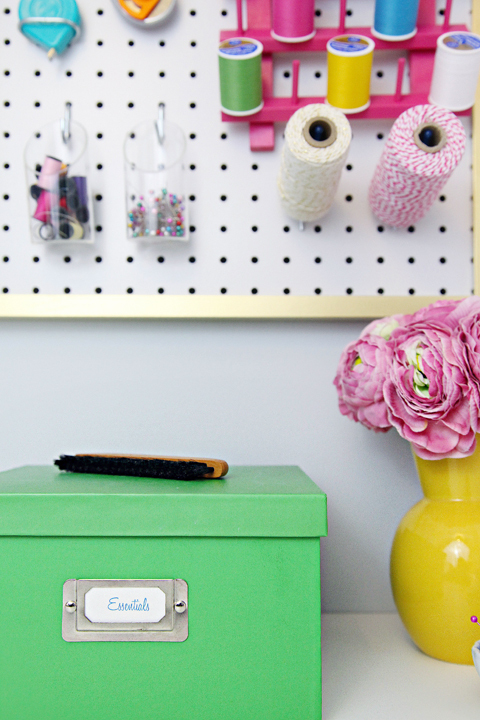 IHeart Organizing: The Easiest Pegboard Project Ever! 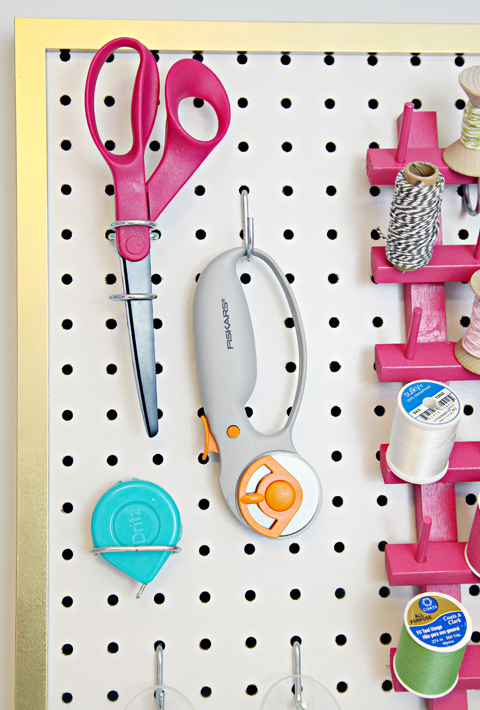 42 The Easiest Pegboard Project Ever! Last week I hinted that I was working on a couple of pegboard projects. Why pegboard? Because they offer a way to maximize vertical space while keeping commonly used items right at hand. 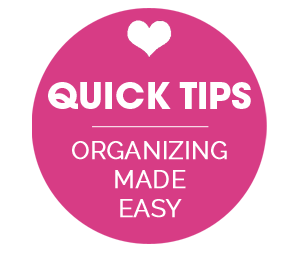 They allow you to mix and match a variety of storage options and keep your surfaces and work areas clutter free. And they are versatile! They can hold just about anything you wish, having options is always a win right? My first peggy project is done and it was the easiest project ever. You know quick and easy is the name of the game around here. 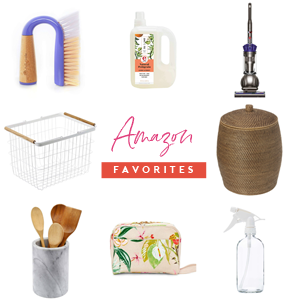 After we removed a storage cabinet from our laundry room to use as a gift wrap station, we decided to take advantage of the fresh blank slate and bring in some new functionality. Part of that meant creating a mini-zone for my sewing supplies and garment care items. Y'all know I am no pro sewer, but I am dabbling in it a bit and hope to grow those skills. I would imagine that a proficient sewer may have more supplies and tools than I do, but for me, this pegboard was the perfect size and solution for our space. Did I mention that this was super simple? Here is how it went down. I rummaged through my frame stash that I am collecting for a hallway gallery wall project (yes, get on that already Jen), and found a Ribba frame from IKEA. These frames are perfect for this project because they are deep enough to hold the pegboard away from the wall and allow room for the backs of the pegs to be inserted. They also have little metal clips to hold the actual pegboard in place within the frame. As you can see from the photo above, we measured, cut the pegboard to the size of the frame, and popped it inside. Done. If you don't have the tools to cut down the pegboard, just have your measurements handy, bat your pretty eyes and ask the fine folks at the home improvement store to do it for you. OK, you don't even have to butter them up, if you purchase from them, most will offer cuts for free! I gave the frame a coat of my favorite gold spray paint, and opted to leave the pegboard white to allow the colorful accessories to shine. 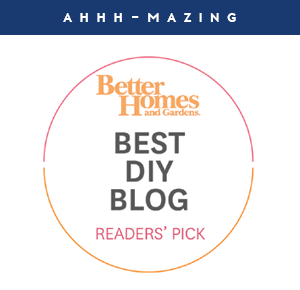 We already had the pegs from a few other pegboard projects that we have done in the past, however, those can also be found at the home improvement store. As far as what I selected to store here, just the most commonly used items. I have a small box holding the rest nearby. Scissors, the rotary cutter, a tape measure, thread and needles. Smaller items were placed in clear wall bud vases which I found a few years ago at CB2. The thread is on a generic thread holder which was spray painted in a pretty pink. And that is that! Pegboard plus picture frame equals awesomeness. I can't wait to share more as this space evolves! It is turning into quite a fun project and the amount of storage we are adding is crazy exciting. Anyone else been having fun with peggy projects? Looking good Jen, as always! I love the pink thread holder. I´may have to get one, as my thread collection is quite big after all my sewing projects for our home! And what gomes to sewing skills, after you know the basics, it gets easier and easier project by project. Happy sewing! Love it! The only thing I would worry about is whether or not the metal tabs in the frame would be enough to hold the weight of the pegboard--that stuff is heavy! I can't mount pegboard to my walls (plaster + I live in a rental) but man as soon as the Wisconsin weather cooperates, I'm going to paint aaaalllll my thread holders (I'm a sewer so I have LOTS of thread)! Did you prime before you painted them? I didn't prime the thread holder, just a few light coats of spray paint and it was good to go! What a fab fab DIY project - I absolutely love it! Thanks so much for sharing, would love to incorporate it in my new home! Great minds! Just did a similar one for my craft space in our garage. As always your photos are so inspiring and beautiful!!!! Thank you for pointing out the fact that you need a frame deep enough to hold the backs of the pegs away from the wall. I have a pegboard project in the works, but wouldn't have thought about that until I was in the midst of the project. Your timely comments have surely saved me a lot of frustration. Thank you for this post. I've been wanting a pegboard for my craft room but couldn't figure how to bring it out from the wall. I am absolutely doing this. Can't wait to get to an ikea to do this and some other projects thanks for the idea! Where did you get that cute pin cushion? 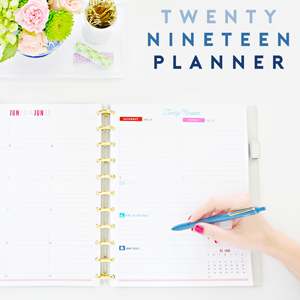 I haven't considered doing a peg-board organization project before, but your post has me daydreaming about one! 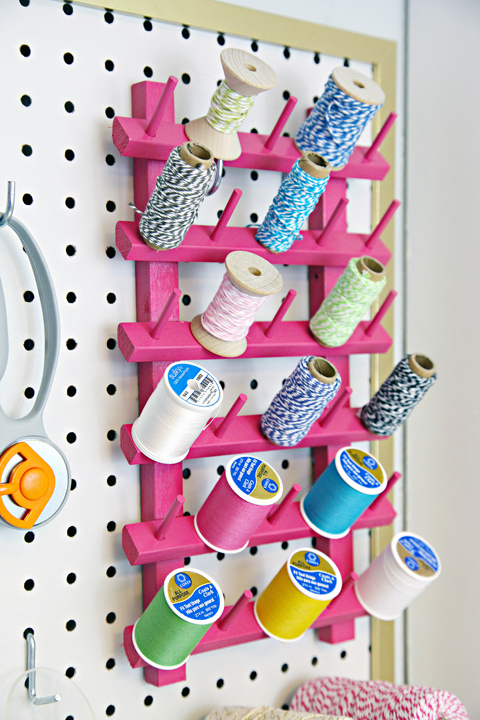 It's such a functional and gorgeous way to display your sewing odds and ends. Perfect! I am in love with my pegboard! During Christmastime, I bought some $1.00 buckets from Target's Dollar bin and removed the Christmas ribbon and replaced it with jute twine and they hang on my pegboard. They're filled with pens, markers, glue sticks... It also holds some of my sewing items! Love that! 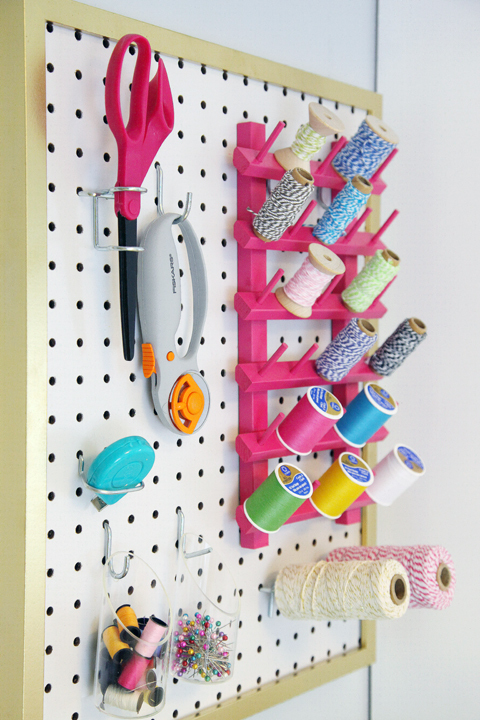 Just saw Target dollar spot buckets the other day and thought they would be perfect for a larger pegboard! So darling! Jen where are you spray painting in this cold weather?? Do you spray paint in your house?? My husband bans me to the garage or outside and being just south of you in Chicago suburbs it's freezing here!! So that means I have a ton of projects backing up!! We have a small heater that I can turn on in the garage for projecting. We don't heat our garage year round, I only turn it on when I am going to be working in there for awhile. 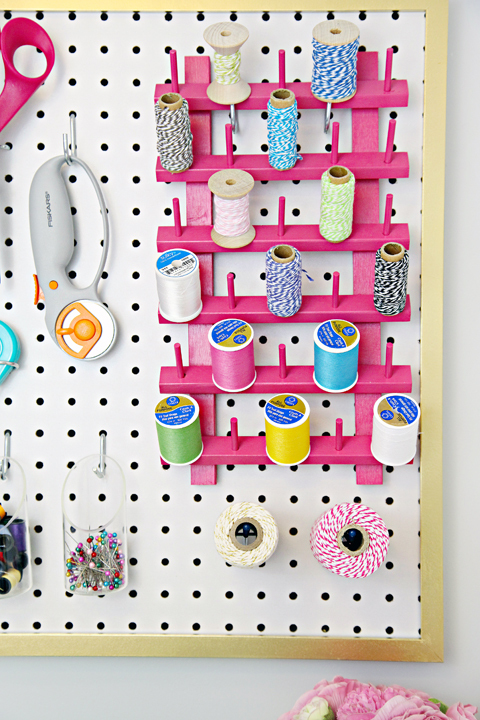 Peg board is such an economical way to utilize vertical space. Putting it in a frame is just genius! Great post! 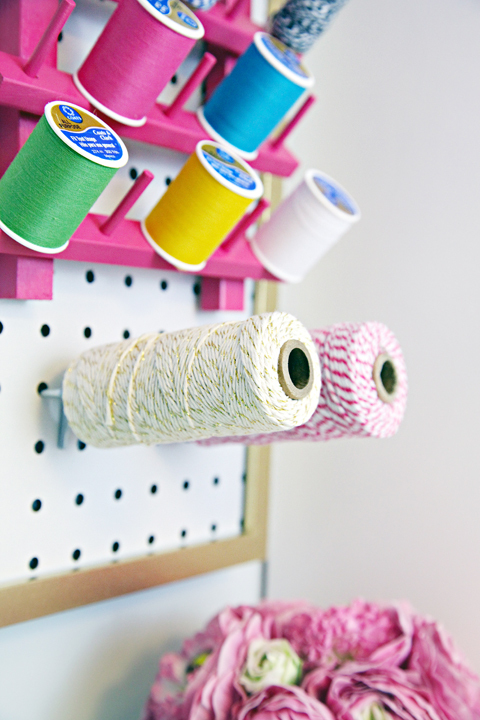 How did you mount the thread holder to the pegboard? Is it designed for pegboards? I have this exact thing in my seeing area! So cute and functional! So inspiring! 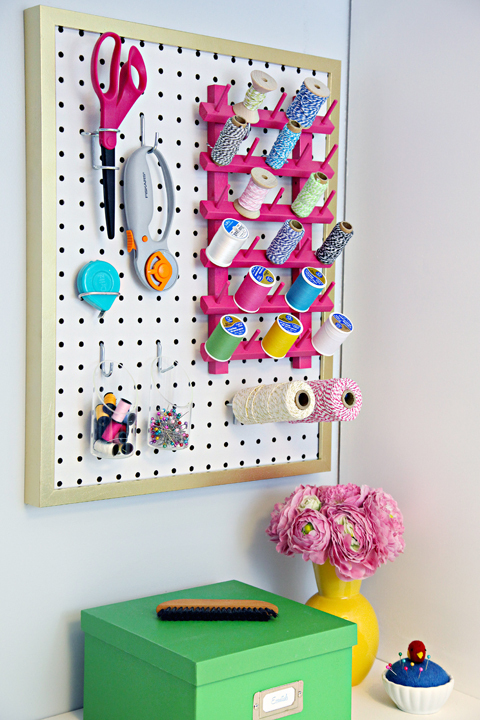 I have pegboard sitting in my garage just waiting for a project like this one! It is so hard to find the right shade of pink spray paint...what brand and color did you use on the thread holder? Thank you so much! The color is Rustoleum's Berry Pink. Ah, this is beautiful! Struggeling to keep my workspace organized, I did my own research for a handy thread holder, a while ago. 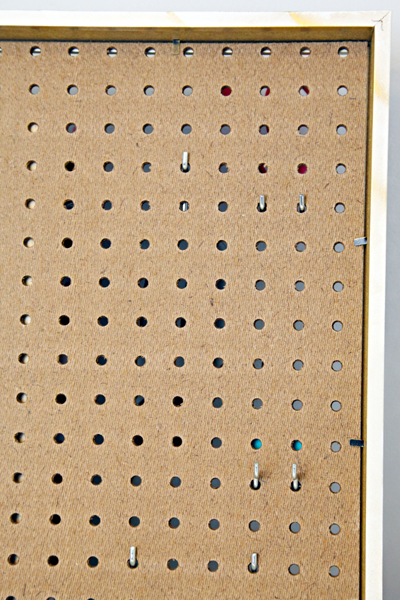 I found some pretty neat solutions: http://www.inhaalslag.com/2012/02/54365-naaigaren-bewaren.html - and even one that involves pegboard. But none is as handy as yours! It is just perfect in every way! 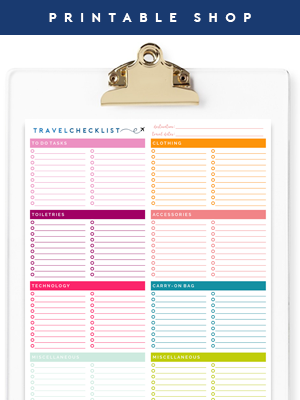 Versatile, colourful and very handy. And since we've got an IKEA nearby we should be able to make one for my sewing corner! Thanks a lot for this wonderful idea!! 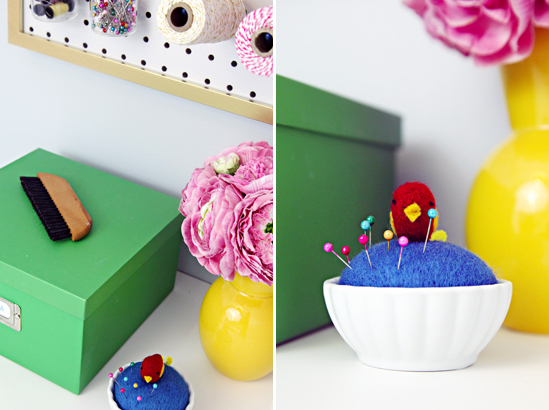 What a great way to display your sewing supplies! And, I LOVE the pop of pink! Looks great. :) In my next home, where I hope to have a designated sewing spot I will have to copy this fab idea! I need one. I don't know where I'm going to put it, but it will happen. Peg board is good, peg board is wise. I love this project! It's so simple and easy and perfect for keeping supplies in easy reach! Ribba frame? Brilliant! Looks like I'm off to Ikea again! Totally love it! I may put one in my closet for necklaces, bracelets and scarves! 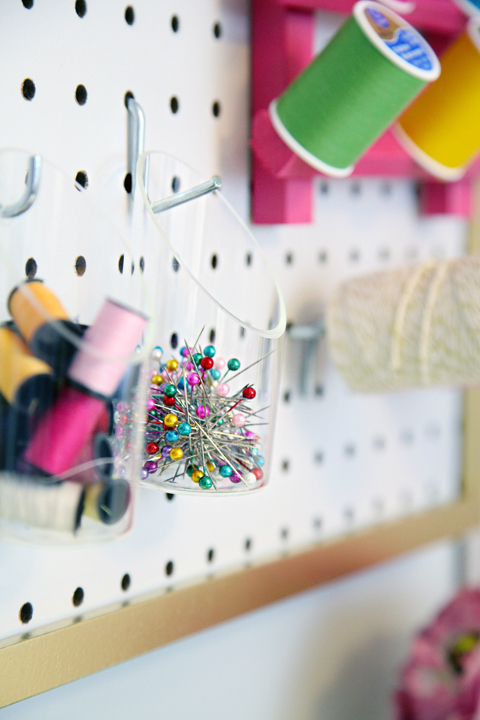 So jelly.. envy you.. i've planned to use peg board for my sewing room but in Malaysia pegboard is no where to be find in Hardware store.. sobs..
Where did you find the cute green box? I found it at Walmart years ago. I fell in love with the line and have quite a few around my home, so happy I stocked up when I did, I haven't seen them there since. Well you are just sweet as pie! Your comment really means so much to me! I do feel so lucky that my hubby is willing to support my love of color. And a house of all boys really is fantastic amounts of fun! Congrats on your new little one and thank you again for the love! Love this! Can you pretty please tell me the colour of the pretty pink spray paint? The clear bud vases were from CB2 years ago. They are held on with standard peg board hooks. P.S. I'm also in love with this website! Thanks so much for sharing all your great projects! How did you hang frame on wall? We hung the frame with simple screws at each corner of the frame to prevent the center from bowing.